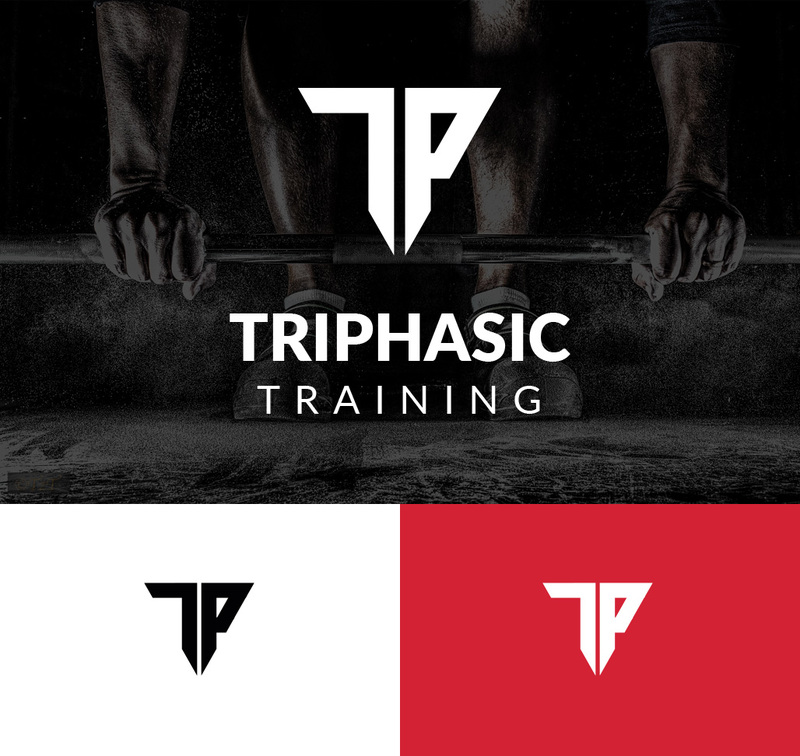 Triphasic Training is all about mental training and strength in multiple disciplines including school and college sports, team sports, police and special forces training, and more. 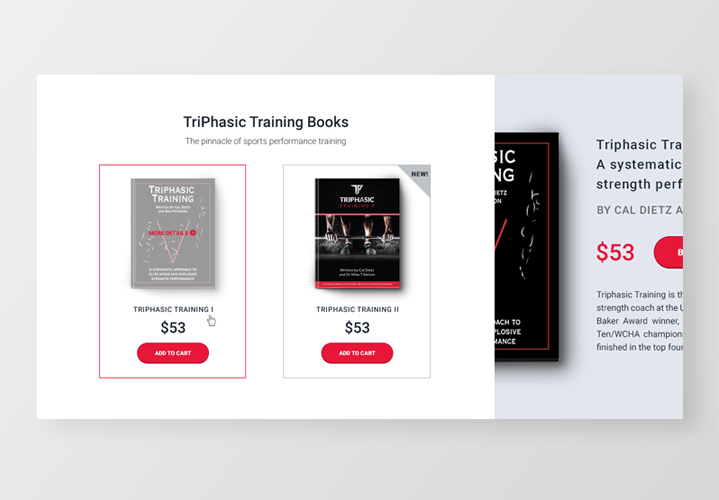 The project was split into several parts, starting with the brand identity and then a modern, fresh website, accessible for the visitors and easy to navigate. First, we started working on the brand identity (the original, distinct look associated with their business). Once the client was happy with the design for the logo and style guidelines, we went forward with the website design. 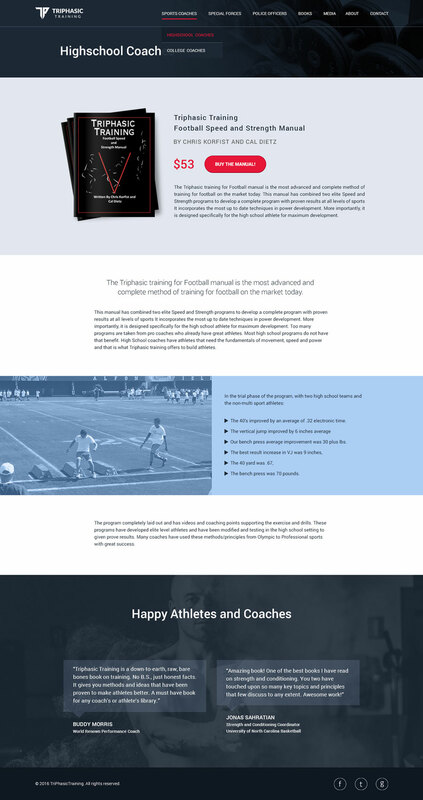 Below you can see the homepage and another page for one of their products, “Football Speed and Strength Manual”.